Germany is one of the few countries that offers each state the permission to set its gambling rules and regulations independently. Gambling in Germany is fully legal for land-based casinos but for online platforms, lots of states have a restriction on them. Gambling with online casinos has an official ban placed on it but there is no ban on gambling online with betting sites. Germany has one of the largest gambling market in the world with a good deal of their citizens engaging in sports betting which is fully legal both land-based and online. The restrictions on online casinos in the country has caused most gaming platforms a lot of players. There is no doubt that before the implementation of the law against online casinos in the country, a lot of players enjoyed spinning the reels of their favourite slot games online. With the love Germans showed for the game before its ban in 2008, it’s obvious that a lot of illegal online gambling activities would be going on in the country. Lots of players still make use of offshore casinos to pilot their gaming affairs, the country banned the act but no official action has been taken by the government to block players from accessing offshore sites. Read along to get all the information you would need to pilot your gaming activities in Germany. Almost all countries have a set of rules governing the gambling activities carried out in the region. Germany is no different, but the type of law governing online casinos in the country is a bit harsh. Accessing a land-based casino is legal in all states in the country, but online casinos were banned in all states except Schleswig-Holstein. The ban was placed in 2008 after much agitation with EU on the proposed ban. The German federal court which initiated the ban in November 2008 claimed that the regulations guiding the online casinos in the country are not being kept by most of the online casinos operating in the country. Trying to force offshore casinos to comply with the countries rules and regulation was impossible so a country-wide ban was essential. Since the country ran an independent system giving each state the opportunity to choose what type of gambling law would suit its gaming activities, the law was enforced in only states that chose to adhere. Schleswig-Holstein was the only state that didn’t sign the interstate gambling treaty giving them the opportunity to offer games to lots of German players. The state grew its reputation widely in Germany with a lot of casinos banking on its reliability within the time. But with pressure mounting on the state they succumbed to sign the interstate gambling treaty in 2013. With restrictions on online casinos and betting sites, a lot of pressure was placed on the German authorities from EU and other bodies which lead to the amendment of the treaty in 2016. Players were granted the opportunity to bank with online betting sites but online casinos were still restricted to players. 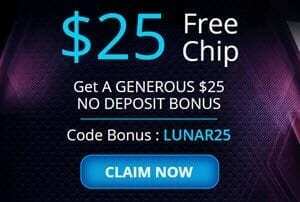 Most players made use of this opportunity to explore lots of casinos online. You would be familiar with the fact that gambling online is not officially legal in the country but the restriction on the act does not have any punishable offence attached. Due to the advantage that approval of online sports betting brought to online gaming activities in the country back in 2016, players can easily access offshore site from the country, but always try to check out the following features before registering with any offshore casino so as not to fall for lots of scam sites that are offered to players in the country. 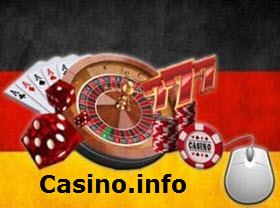 Licencing: during the few years that the Schleswig-Holstein authorities were still offering players the opportunity of gambling with online casinos in the country, they licenced a lot of casinos to operate in Germany. When choosing a casino always try to check the licence backing it, the most suitable choice that would guarantee the service you need is casinos with the Schleswig-Holstein licence. Games: most top software providers are watchful of the site that they offer their games to. 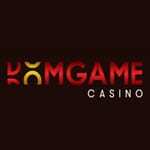 You would hardly find any scam site that would provide you with games from top providers like Microgaming, Netent, Novomatic, Playtech etc. before selecting a casino try to check out the software providers powering the casino. Support: it’s certain you might have some question to ask while making use of a casino. Choosing a casino that won’t provide an instant reply to your questions would make you make a lot of wrong decisions in the long run. Verify the support system offered and how reliable they are. Languages: a lot of casino offers their services in various languages while some stick with a particular language. Verify the languages offered and make sure the casino offers a language that would be suitable for you. Payment options: this is a very important aspect when trying to choose the right online casino to pilot your gaming activities online in Germany. A lot of sites would provide excellence in the services listed above but when it comes to withdrawal, stories start coming in. 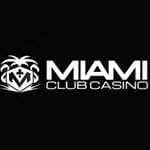 To avoid such stories, put a call through to their customer support to understand all the procedures and documents that would be required to process all your transactions in the casino. Accessing Land-based casino in Germany does not require any technicality because its officially legal but online casinos are still restricted to citizens of the country. Playing online might not be legal but it is very much accessible by almost all citizens of the country. With the intervention of the EU on the ban of sports betting site in 2016, there was no way to deny players access to online casinos. 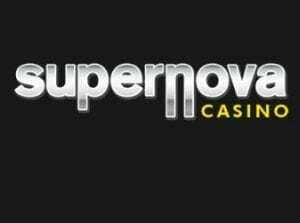 Playing your favourite slot or table game might be illegal in the country, but with the huge development that has taken place since the invention of the interstate gambling treaty in 2008, online casino lovers can be hopeful that they are better days ahead.